Infographics and videos below are available for download and re-publication. Please credit Climate Signals. 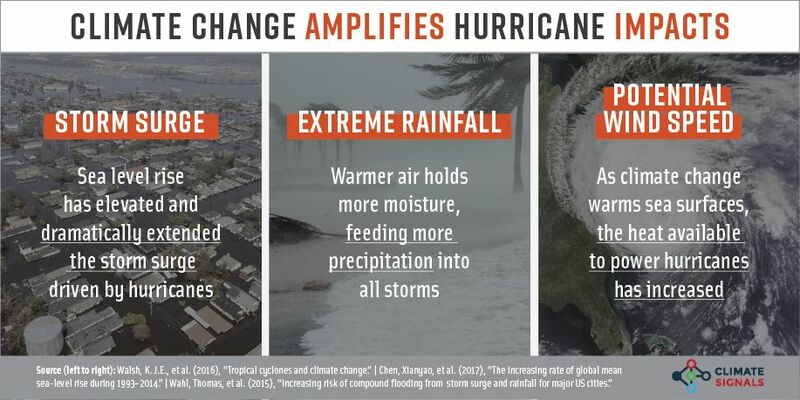 Human‐caused climate change is supercharging hurricanes and exacerbating the risk of major damage in three primary ways. Sea level rise elevates and extends the reach of coastal storm surge flooding, which is the main driver of damage in coastal regions. 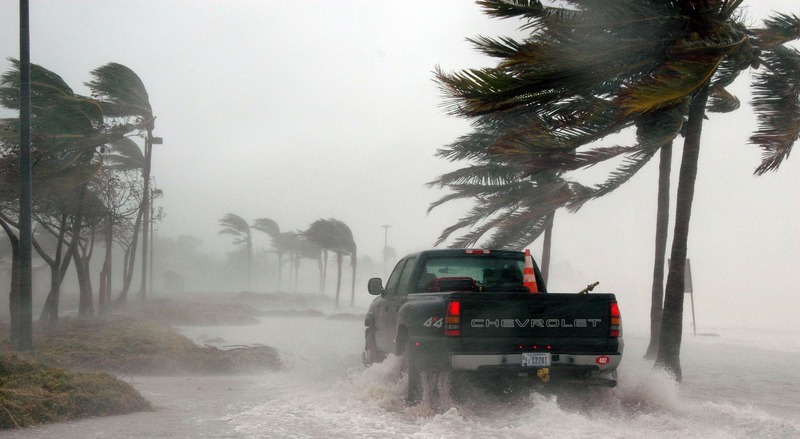 Warmer air temperatures allow storms of all types, including hurricanes, to hold more moisture, which increases the risk of extreme precipitation and flooding. 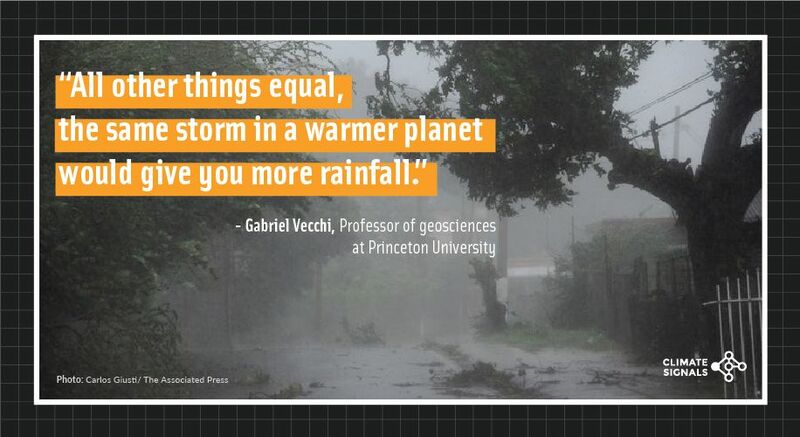 Finally, there is a significant risk that climate change may be driving increases in storm intensity and the rate at which storms intensify, increases which have been documented in several ocean basins, including the Atlantic. These increases are thought to be linked to warming seas that offer more energy to passing storms. The infographics and videos below help visualize these climate change trends. Read more about how climate change is impacting Hurricane Michael or the 2018 Atlantic Hurricane Season on Climate Signals.